What a cold and rainy day. Seems like a great day to make a pot of venison stew. 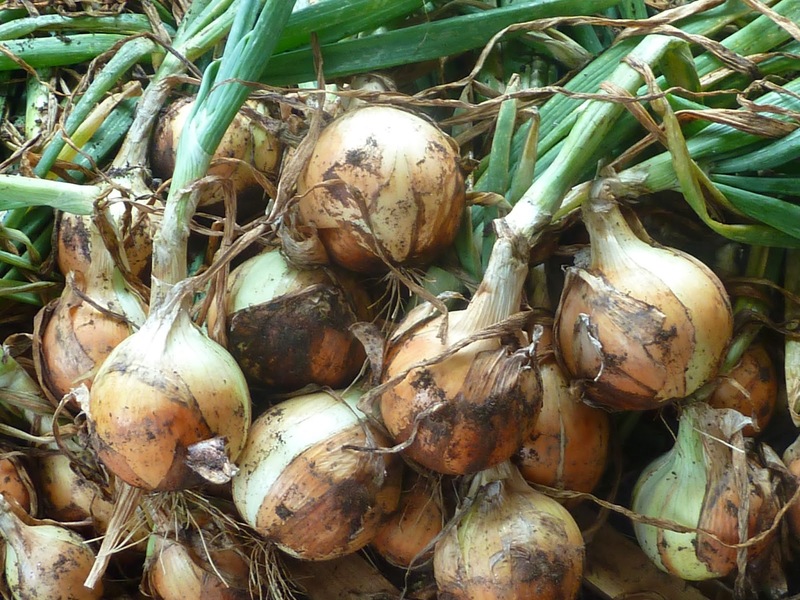 Good thing I have onions stored in my basement and that I dug some potatoes, carrots, parsnips and turnips yesterday when it was warm and sunny. 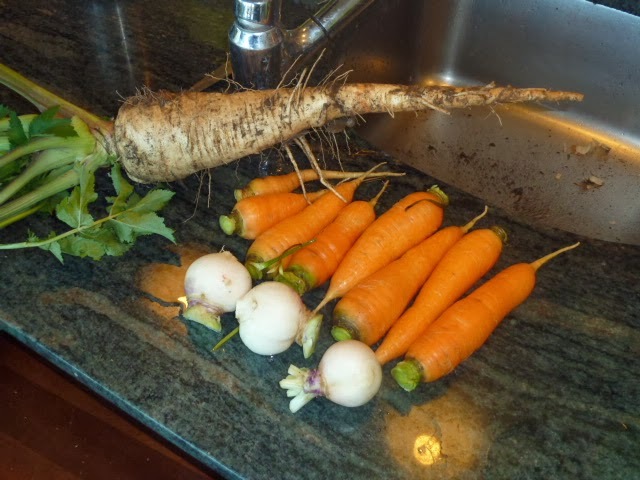 Because I have limited space to refrigerate fall root vegetables, I leave most of them in the garden during the winter. I simply mulch them in with some leaves and dig them as I need them throughout the winter. To start the stew, add a couple of tablespoons of olive oil to a heavy cast iron casserole and brown the venison or beef in small batches. If you are using a lean meat like venison, you may need to add a little more oil between batches. After browning the meat, reserve it, add 2 tablespoons of olive oil and add the onions and carrots to soften them. After about 5 minutes, add the reserved meat, the bay leaves and enough beef broth to cover. Simmer the stew for about 1 and a half to 2 hours. I like my venison cubes very tender, so I tend to simmer the stew for 2 hours. After simmering the stew for the appropriate time, add the parsnips, turnips and potatoes with enough beef broth to cover. 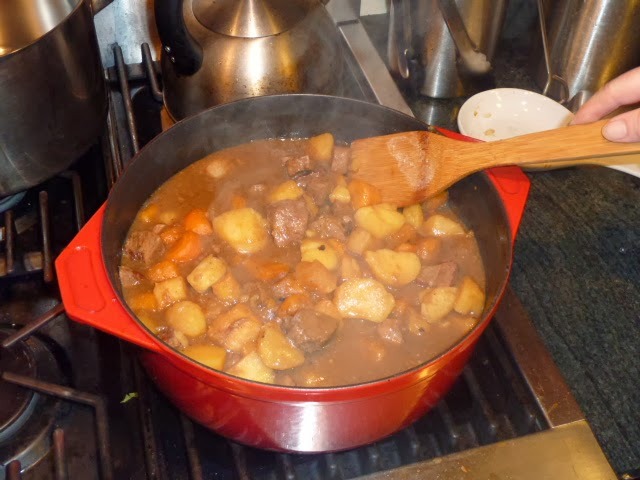 Simmer the stew for another hour or until the potatoes, parsnips and turnips are tender. While this stew has some color in it, I like to add peas for their added color. The peas will need to cook for about 5 minutes. Finally, add salt and pepper to taste and serve with some good crusty bread for dipping in the stew.